All the world wars and the Cold war generations ago experienced do not show us the end of insecurity and violent battles between nations come to an end. We may want to believe so, but as long as some countries continue to produce and distribute nuclear weapons we are nowhere near the safe zone. In fact, we may be at risk more than we think we are. And also, countries are far from long-lasting peace with each other, so we need to plan ahead and not focus on the fear of potential nuclear attack, but instead think pragmatically and plan how to survive such a threat. We must point out that today’s nuclear weapons are hundred, even thousand, times more powerful than those dropped in Hiroshima and Nagasaki. This means that those in imminent proximity may not stand a chance, while those away from the big cities and in politically insignificant territories have the chance of protecting themselves from the nuclear fallout. 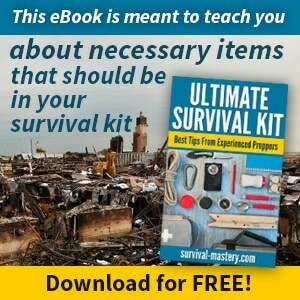 So, in this article we will cover the vital information on how to survive a nuclear attack. We hope this information would never be applied in the future, but it’s best to know it and be prepared than not. Your first step in the preparation stage is to store enough food for at least 48 hours. This is the minimum, so if you have more food, for up to a week, then at least your mind will be at peace. Otherwise, it may be risky and dangerous to go out and search for food several hours after the attack. If you can remain longer in your shelter with food, then your chances for survival are bigger. Along with this food, make sure you can open them and consume them. For example, if you have canned food, prepare a can opener. If you have dried food it will need warm water to render it edible. You may have to store a small compact stove to boil water for your dried and freeze-dried foods. 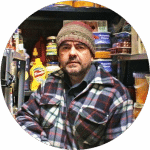 We have a great article about how to make an emergency food storage and how to keep the food fresh for a long time. Along with the food, water is the most invaluable item for your survival. This is why you need to store large amounts of water in your basement, safe room or shelter. You can’t survive without water for more than several days. Also, don’t store just ‘a bit’ in the hopes of finding more water later. In the case of a nuclear attack, everything in the area with a radius of several or more miles will be contaminated with heavy metals and chemicals, including all the water sources. Purifying tablets can disable the chemicals, but these weren’t specifically tested for nuclear contamination. Still, if you are interested, we have an interesting page on water purification tablets. As long as you have at least one gallon a day, per person, you can store as much as you can and your shelter is capable of storing. This is your next important step to consider. You need to know what is going on in your area, state, country, etc. Being informed is one of your greatest weapons and defenses, so don’t underestimate it. It can help you judge if it’s safe to leave your shelter or not, if something is going on outside and it may be dangerous, etc. There are many information that can help you making decisions. Get yourself a radio, which can also catch NOAA’s radio station. 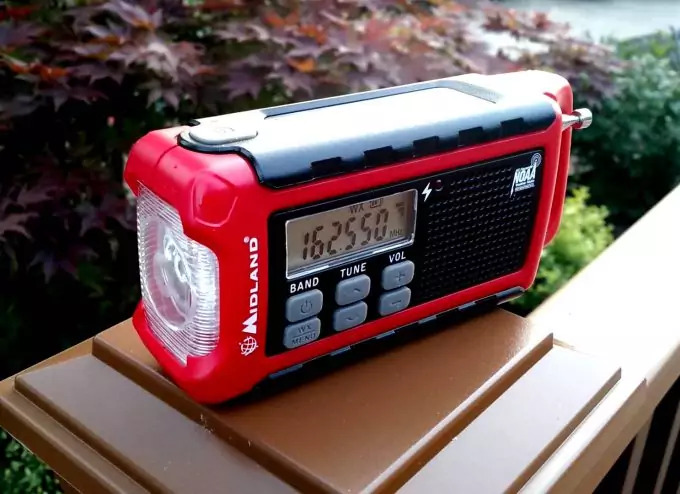 Also, when you consider what radio will suit your needs, find one which is powered by solar panels built in the radio, or has a hand-crank, in order to charge it. Otherwise, relying entirely on batteries, which can run out quickly, isn’t very smart. You also save valuable space by skipping the battery storage. Make sure you can tune in to all radio stations including emergency broadcasts, which transmit information 24/7. Some models are better than others so, if you want to run a comparison between the best products, take a look at our reviews for emergency radio units. Another method of communication and signal sending is the whistle. 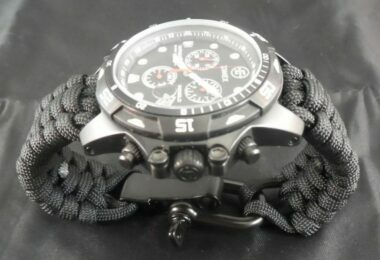 It’s a simple and primitive item, but because you need no batteries and no charging, it’s an incredibly valuable item. As you can expect, we have a great set of reviews for the best emergency whistle on the market too. And of course, your cell phone. It’s true these don’t last that long on battery but if you know how to conserve the energy and turn it on only when you really need it, it can be valuable. Also, even if the call services are down, you still don’t know how a cell phone may actually help you. You could also find a solar charger if you want to maintain the battery’s life for as long as possible. Another word of caution – while some of the above require solar power, this would mean that you will have to go out of your shelter. Since most shelters don’t have windows, you can’t change the solar panel by just placing it by the window. If the solar energy isn’t an option for you, think of other methods to change your batteries. There are self-made generators, which you can build and can produce energy as long as you maintain a steady brisk motion. It resembles the hand-crank for some emergency radios. You can’t go far without some life-saving medications, pain-killers, allergy drugs, or any other special medications for conditions you or some of your family members have. Prepare a first-aid kit and place all the necessary medications in special water-proof plastic bag, preferably with a zipper (to keep water and moisture away). Make sure these medications are newly bought, since they have expiration dates you need to be aware of. Change them once a year with new ones. In your first-aid kit, keep also lots of adhesive tapes, bandages, sterilizing solutions and sprays, gloves, tweezers and scissors, warm blankets and even a thermometer (digital). Don’t forget to include an instruction guide on the most basic life-saving first-aid actions. 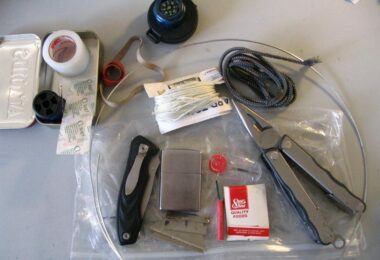 You can purchase a ready-made first-aid kit with the needed items in it. Most have an instruction guide, but if they don’t, purchase one yourself. 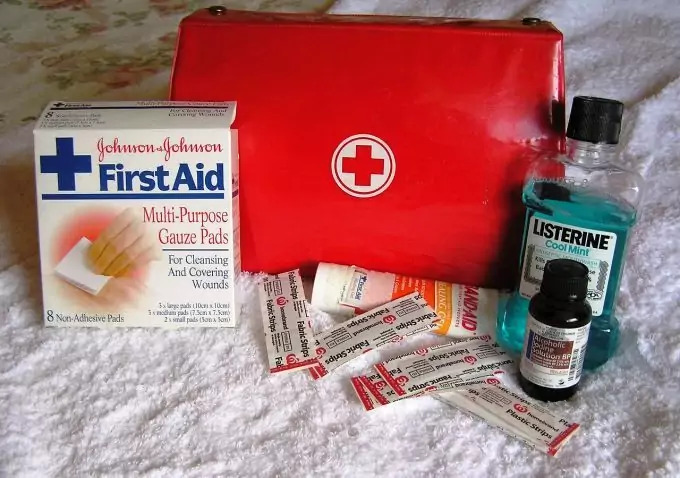 We have a great step-by-step tutorial with reviews on how to choose the best first aid kit according to your needs so don’t forget to take a look. Of course, don’t forget the flashlights, facial masks against dust, dirt, pollution, etc, duct tape and garbage and ordinary plastic bags. The sanitary items should be part of your first-aid kit. It they are not, place them all in a water-resistant plastic bag. Store some pliers and wrenches in case you need to shut off some of your home utilities, like the water pipes and gas. Nuclear attacks don’t happens just out of nowhere without a warning. If you watch the news and the political environment you should be able to pick from the news that there is some tension between two or more countries and the situation escalates. You should be mentally and physically prepared for the worst. As long as you stay well informed you won’t be surprised if a nuclear attack follows soon. You can also follow the news on the web and see some escalating trends. The defense departments of most countries have their own web pages where they may issue a warning and give a rating for the escalating risk or even imminent attack. For example, in the USA you can follow the DEFCON (defense condition) rating level about the current situation. When you realize that the risk for a nuclear attack has risen so much that it’s only a matter of time, you need to assess which areas are safer than others. For example, military and naval bases are much more in danger to be attacked. Other similar risky areas can be commercial ports, shopping centers, and other public places. Governmental buildings are also at high risk. Overall, cities and towns with large population are also risky and likely to be attacked. In this regards, it’s best to evacuate if you’re living nearby any of these, or are living in a large city or capital. We highly advise you to move to the countryside, away from military ground. It may be unpleasant learning more in-depth about nuclear bombs. The knowledge though can be helpful in certain situations. 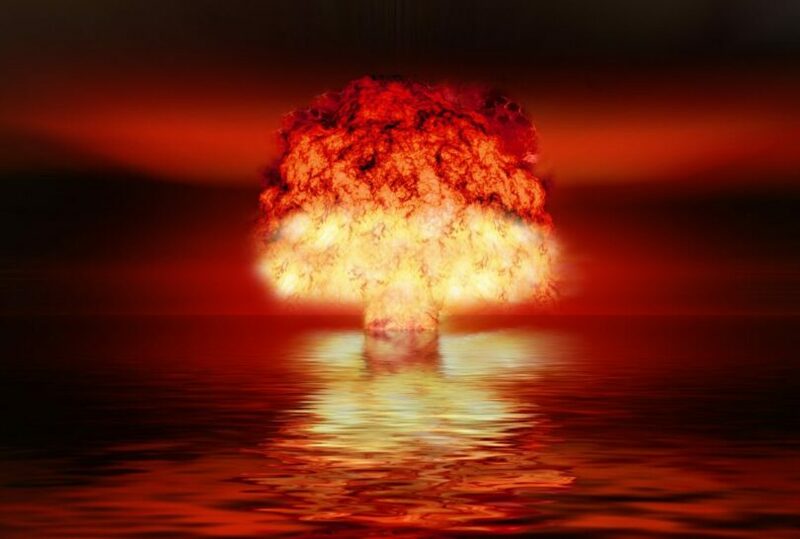 There are two types of nuclear bombs – A- and H-bombs. 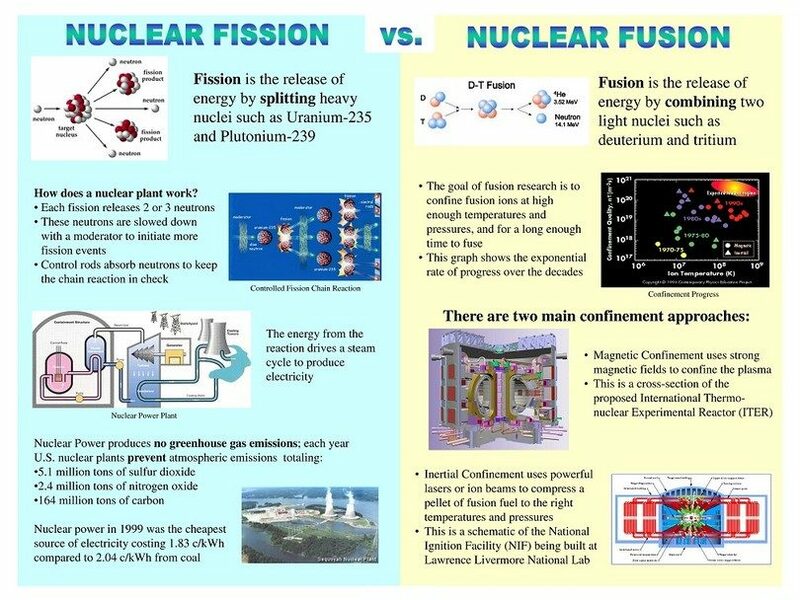 The first are called fission and the second fusion bombs. Fission bombs are most likely to be used in war times, and have been used in the recent past. They incorporate plutonium and uranium atoms, which upon splitting release incredible energy and also neutrons. In the bomb itself (before the explosion) there are also neutrons. When the daughter neutrons are released this causes a chain reaction of releasing more and more neutrons. Fusion bombs on the other hand can release much larger amounts of energy – hundred times more than fission bombs. They use deuterium and tritium, which upon sparking the light, get heated up to enormous temperatures. When they fuse (hence the name of the bomb), they release massive energy, which as we said is hundred and thousand times more powerful and destructive. Unfortunately, most of the nuclear bombs owned by USA and Russia are fusion bombs. This is when you need to act immediately. Wherever you are during the attack, you need to find a shelter nearby. You should recognize that a bomb has exploded either by the sounds or the strong illumination. Don’t look directly into the light of the blast. Depending on how close you are to the explosion, you may have from a few seconds to 15 to find shelter. If you’re too close to the explosion there is virtually no possibility of survival due to the strong thermal and shock waves, including the strong radiation itself. If there is no visible shelter near you, begin digging as fast as you can. If you’re in the city, educate yourself if there are bomb shelters and where they are – do that before any risk of nuclear attack exist. When the explosion occurs, head immediately to the closest bomb shelter, if it’s no more than a few seconds from you. That is of course a long shot, so we advise you to simply look for any type of shelter. Of course, most buildings aren’t strong enough to withstand the shock wave blast, but if the bomb is more than 15-20 miles away from you, you may only feel the heat wave (which can burn your skin, so stay inside!). Also, stay away from explosives, flammable material and turn off the electric appliances if you have time. 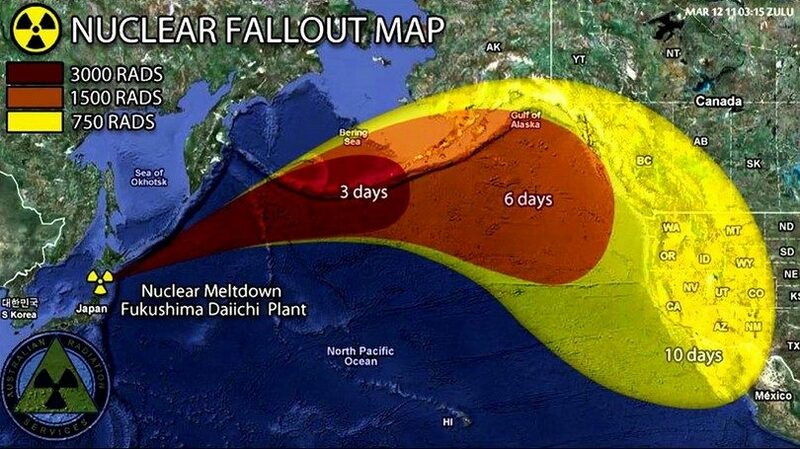 After the blast has subsided and you’re still alive and safe (for now) you need to know more about the radiation fallout. It has been estimated that people who died of the radiation, but not from the blast and heat waves, were very few. This means that if you survived the initial attack you have a chance of surviving the fallout, if you follow certain rules. Radiation fallout can be much dangerous though. The radiation particles which were blasted off in the air, during the explosion, will begin to fall to the ground. They are too many to think you’re safe. Everything they fall onto will be contaminated and unsafe for you – food and water including. There is also the black soot, also known as ‘black rain’, which is also searing hot and can quickly burn your skin. After the blast you must remain at your shelter about 8 days at least. This is when the black rain will occur. Depending on the weather conditions, the soot may be blown by strong winds and it may be safe after less than 8 days (or more). You are still to remain in your shelter for the recommended minimum. Two days is the absolute minimum. If you exit the shelter in less than two days you risk perishing. So you may wonder what is so dangerous about the after-blast. There are the so-called ‘fussion products’ produced by the nuclear explosion. The radioactive iodine is one of the most dangerous and deadly. Its half-life is 8 days. After that, most of them will turn naturally into isotopes, safe for humans and organisms. For all the iodine atoms to decay, it takes 90 days. Caesium and Strontium are the other two dangerous elements. These can have very long half-lives of up to 30 years. These are unfortunately absorbed by organisms and living beings and can accumulate in our bodies with time. When it comes to eating food, you should entirely rely on your food supplies (read the first section in this article). If your supplies finish sooner than you expected, you may have to search for food outside your shelter. Make sure it’s later than the minimum 8 days. There is of course a risk that any animal or plant food will be contaminated, thus you will expose yourself to further risk. If you would like to stay in your shelter for at least 2 weeks before leaving it, you should eat sparingly and ration your food wisely. Certain plants though can be edible, and root plants like potatoes and carrots can be eaten. They can be your best option. If you have to eat animals, skin them and stay away from the meat close to the bone, as bone and bone marrow absorb radiation. Water can be dangerous as it will contain radiation fallout particles. Underground water sources may be much safer. You can consider also building solar still and make sure to always boil the water. This is when you need to be extra careful and wear as many clothes as you can in order to protect your skin from Beta burning. Make sure to shake your clothes now and then to remove any attached particles and contaminants, especially when you come back to your shelter. If any Beta burning has occurred, wash immediately under cold water and make sure to keep the burnt place/skin clean and washed. If any blisters appear, don’t break them! If large area of your skin was exposed and burned as a result, but no blisters appear, don’t cover your skin and use ointments and Vaseline to keep it moist. Also, help anyone who may need assistance or has the Radiation Syndrome. These situations may not be as risky when it comes to the explosion, but it may cause damage to all electrical appliances. 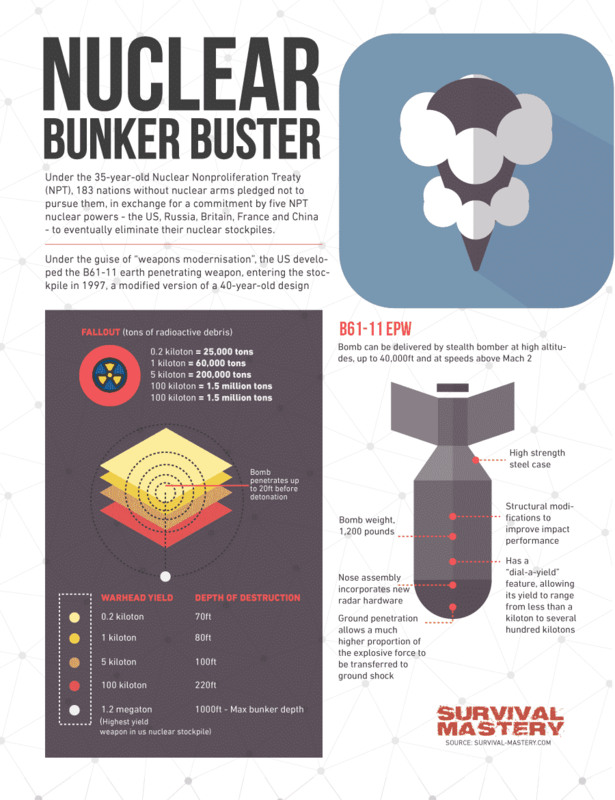 High-altitude nuclear bombs generate the so-called EMP (electromagnetic pulse). It can damage and destroy all your electrical and electronic utilities and appliances, including computers and digital data. If these appliances are plugged in the sockets, they may cause short circuitry or explosions and thus endanger you and your family. So, as soon as you learn about such a high-altitude detonation, unplug all such items you have at home. 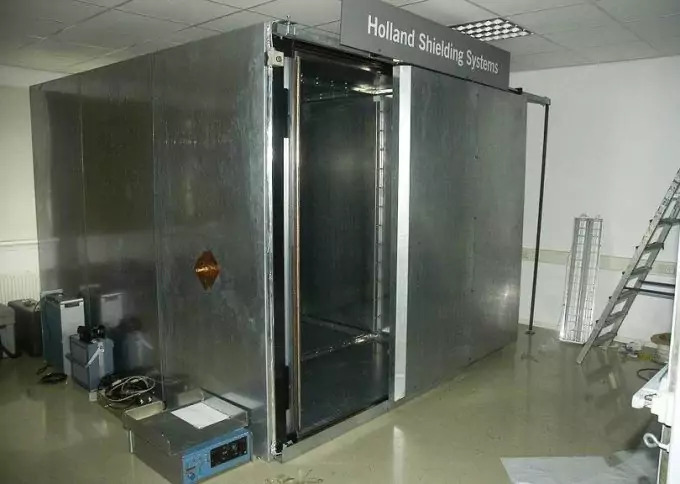 Whatever you can protect, place it in a metal container (e.g. the Faraday cage can be a good example). These protect the electronic and electrical devices from the EMP. Yet, keep in mind that the devices must not touch anywhere the metal cage/container. You can make your own Faraday cage by taking a cardboard and place an aluminum foil (copper will also do) around it. Keep the device/item plugged and grounded. You have to be mentally prepared that if a nuclear attack happened, then it’s obvious that a war has begun. You have to be prepared that more attacks may follow and that you will not be fully safe as long as a peace treaty isn’t signed between the two (or more) opposing forces. 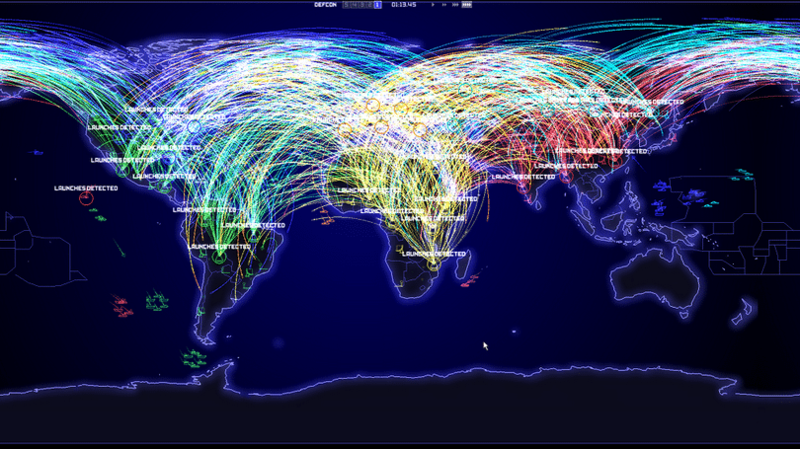 Invasion or more attacks may be imminent. This is why you need to use your resources sparingly and wisely and collect any such (food, water, or vital items) which can be helpful and life-saving in the long term. Here is how to recognize if someone has the Radiation Syndrome. First, we will use the Gray units (Gy). This shows how much the organism has absorbed the ionizing radiation. 1 Gy = 100 rad. When it comes to dosing, Sv (Sievert) measures that, thus 1 Sv = 100 REM. Generally, 1 Gy is roughly equal to 1 Sv. You won’t see any visible signs of radiation dosing in some if less than 0.05 Gy. With up to 1Gy, you will see that the person suffers immune disruption and is susceptible to inflammation and infections. They vomit, suffer from nausea and headaches. These people can survive as long as they don’t expose themselves to more radiation. With more than 1.5 to up to 3 Gy, hair loss is also common. Usually 1/3 of the infected people will die in the next 30 days. Heavy poisoning comes with more than 3 up to 4 Gy. Half of the contaminated people will die within 30 days. Their symptoms are similar to the above, including bleeding both external and internal (skin, mouth, pores, kidneys). From 4 to 6 Gy more than 50% will die (up to 60%). 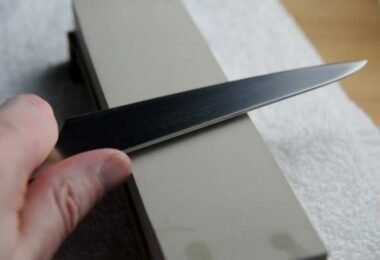 Reaching 6Gy the fatality rate skyrockets to up to 90%. The symptoms develop quickly, usually within a few hours and can be latent for the next several days, and are almost the same as those explained above ending with death within 2 weeks. With up to 10 Gy, death is unavoidable and happens in less than 14 days. Only with special medical care can anyone survive. With these patients bone marrow has been recorded to be completely destroyed and transplantation is required. Other damages to the internal organs are common causes for death and complications. 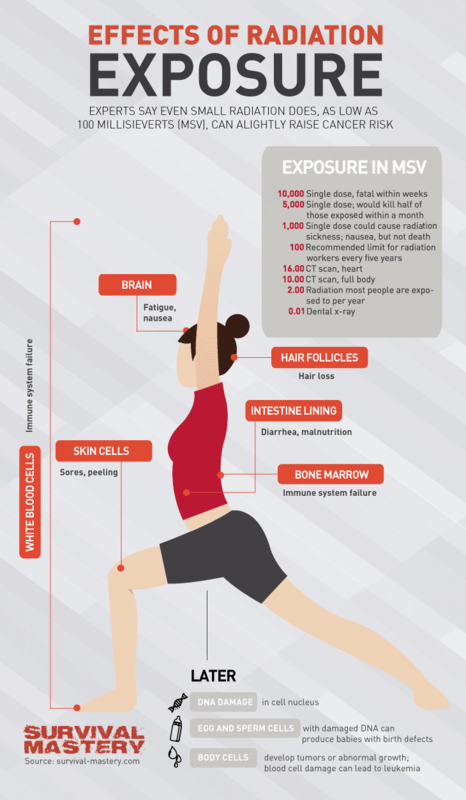 Hardly has anyone ever fully recovered after full radiation exposure. During such times, you need to assess if anyone has acute symptoms or not. Keep in mind that without proper care within days, these people can’t survive. Even if it’s harsh to advise you this, keep the food and water supplies to those who are still healthy. Otherwise you only prolong the suffering of those are already dying. During nuclear attacks reality is harsh and you need to accept that you can’t save everyone. While the topic of nuclear attack and survival may be difficult to process, it is still a grim possibility. Facing the reality is the first preparation step for us to take. Physical preparation though isn’t enough and can’t offer you the full picture. Learn more about nuclear attacks and radiation fallout. This information will be invaluable when it comes to trying to survive such a situation and may help you support the people close to you, and as a result raise their chances of survival. And on the good side, humanity has survived many wars and we still continue ahead, a bit wiser and will hopefully never have to experience another war.